Is My Pet Suffering From Progressive Retinal Atrophy? If your dog or cat is having trouble navigating or keeps bumping into things, progressive retinal atrophy might a possible cause. Progressive retinal atrophy, or PRA, is a genetic eye disease. Although it’s not the end of the world as we know it, this is a serious condition that any pet caretaker should be informed about. It sounds scary and confusing, but read on as we explain this condition and its symptoms. PRA is essentially what it sounds like — over time, your pet progressively loses vision. The retina, a thin membrane in the eye, atrophies or deteriorates. Although it does take time, eventually your pet will be clinically blind. Without getting too much into the biology of it, what happens is that the retina, rods and cones that make up part of the eye simply start to deteriorate and stop functioning. There are different types of PRA distinguishable only by genetic markers, but the PRA classification covers all aspects of the disease. PRA has been found in dogs and, much more rarely, cats. It is caused by certain genetic markers or external injury. In dogs, tests can reveal if your dog is a carrier of the genetic marker for PRA, but there is currently no such test for cats. It has been said that hypertension can be a cause of PRA, so it’s never a bad idea to get it checked out. In most cases it will be a non-reversible, progressive disease. If you have a breed listed there, don’t freak out and run immediately to examine the eyes with a flashlight — it’s simply good information to have as a pet caretaker, and you can always discuss any concerns with your veterinarian. Because different breeds have slightly different genes or markers, the disease can and does affect each breed somewhat differently. For example, your Irish Setter with PRA may be completely blind by age 1, but your toy poodle may not manifest the condition until middle age. The fact that PRA does take time to render your pet blind is actually a blessing. This gives your pet (and you) a chance to adjust to a new lifestyle. Because pets cannot talk to us, we should be alert for any deviation from normal behavior. One such deviation would be a reluctance to either enter a darkened room or go outside in the dark. As the disease begins, affected animals will be reluctant to go into dark places because they can no longer see as well as they used to be able to. 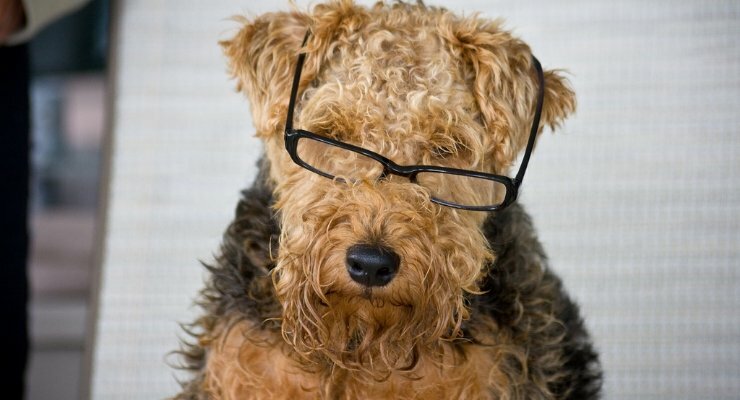 Another indication that your pet may be having vision trouble is walking into things. Cats will miss jumps more frequently than before. If you move your furniture around or leave things lying on the floor that aren’t normally there, your pet may walk into them or trip, having not seen them. So remember that as your pet loses vision, you will need to be responsible. Your pet is just like a family member who has gone blind, so leave furniture where it has always been and try not to leave things lying around that they might trip over. Mom always told you to clean up your mess — now you have good reason to do so! In a general sense, PRA is not an indication of poor health. Your pet can still live a long and happy life, just like people who have gone blind. As a former pet caretaker of a dog with many serious conditions, I can tell you from experience that animals are incredibly resilient and respond so well to just plain love and care. If you think your pet may be suffering from PRA or any eye disease, it’s important to talk with your veterinarian to get a diagnosis. And don’t panic. PRA is not the end of your pet’s life; it is simply an adjustment to a new life. This pet health content was reviewed by a veterinarian.